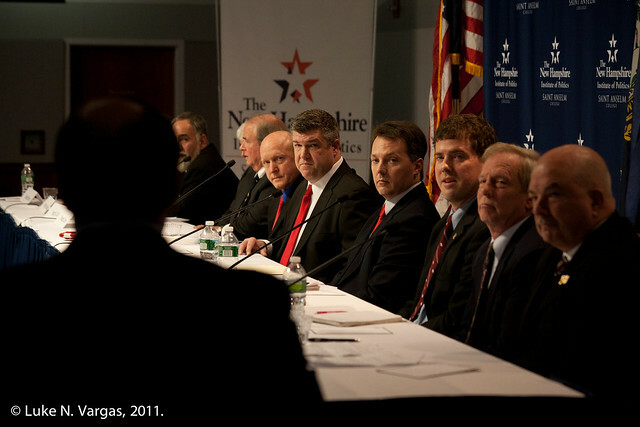 MANCHESTER, NH: Seventeen candidates for president met at the "Lesser-Known Presidential Candidates Forum" at St. Anselm College's New Hampshire Institute of Politics on Monday, December 19, 2011. The following Republican candidates appeared at the event: Bear Betzler (R-PA), Timothy Brewer (R-OH), Hugh Cort (R-AL), Randy Crow (R-NC), L. John Davis, Jr. (R-CO), Christopher V. Hill (R-KY), Jeff Lawman (R-NH), Benjamin Linn (R-NH), Michael J. Meehan (R-MO), Joe Story (R-FL). 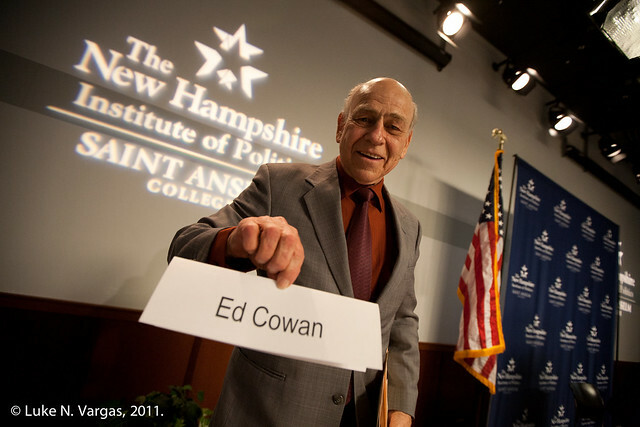 The following Democratic candidates appeared at the event: Ed Cowan (D-VT), Bob Greene (D-CA), John D. Haywood (D-NC), Edward T. O'Donnell, Jr. (D-DE), Vermin Supreme (D-MA), Randall Terry (D-WV), John Wolfe (D-TN). To view my complete gallery from the event in a full-screen slide show click HERE. 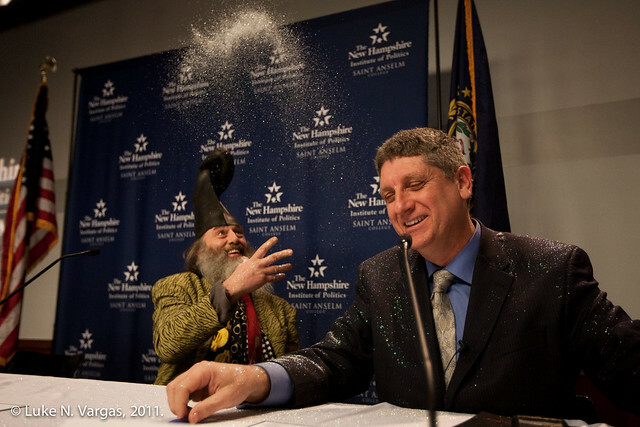 Luke - Your photos are wonderful - especially of Vermin Supreme - but of all the candidates, lesser or major. Love seeing this contest through your eyes. Keep up the great work!